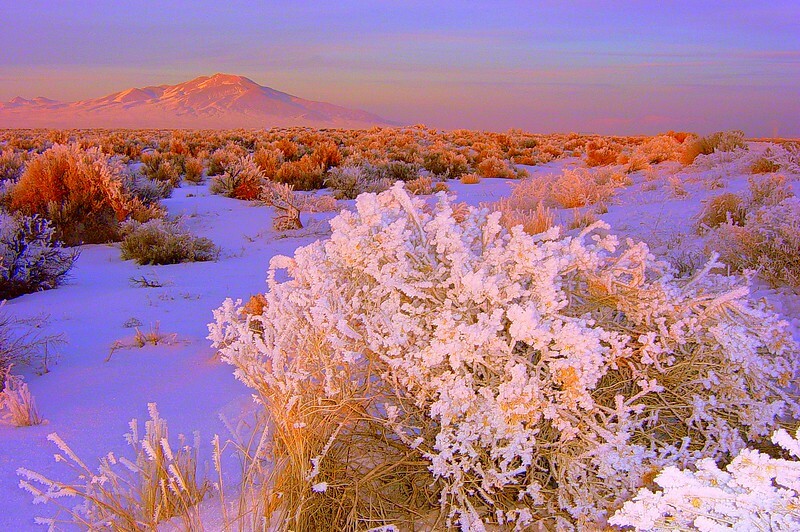 This is a truly frozen sunset in northern Nevada. We were traveling from Salt Lake City to Reno, NV, and the brand new truck (less than a month old) broke on the side of this desolate highway. Bill was trying to fix it, I was shivering, but then I noticed what a beautiful landscape was just beside us - so out came the camera. Then I hopped back in the cold truck & buried myself under my coat. The good news is that Bill got the truck going again (and more importantly, the heater) and we made it to Reno about midnight that night. I still remember this ethereal frozen desert landscape.